In 2016 The Mothers' Union celebrated 140 years since the inception of The Mothers' Union by its founder, Mary Sumner. Its Vision is of a world where God's love is shown through loving respectful and flourishing relationships. Its Aim and Purpose is to demonstrate 'Christian Faith in Action' by its transformation of communities worldwide, through the nature of the family in its many forms. It has over 4 million members throughout the world and The Mothers' Union is firmly rooted in a voluntary ethos. An affordable annual subscription is paid by members, which goes towards funding work in this country and abroad. Membership is open to both women and men. The Burntwood Chase Branch meet monthly on the second Tuesday afternoon at 2pm, usually for about 2 hours. The meetings alternate between Burntwood Church, Chasetown Church or Chase Terrace Church.) We begin our meetings with a short, simple service followed by a short talk, discussion or activity and then refreshments. To know more about becoming a member, please telephone Dorothy - 01543 670869. On Thursday 9th February 2017, ladies from Burntwood Chase Benefice gathered at 10am for 'Wave of Prayer'. This is a continuous expression of our commitment in prayer to each other, which runs throughout the year and encompasses all the places in which we are represented. Our prayers on this day were particularly for Karnataka in India, Ankole in Uganda, Lagos West in Nigeria and The Diocese of Lichfield. Our April meeting began with Easter worship before we made Easter Buckets. These were an inspiration of Dorothy's and consisted of decorating plastic containers with handles for collecting eggs on an Easter Egg Hunt. 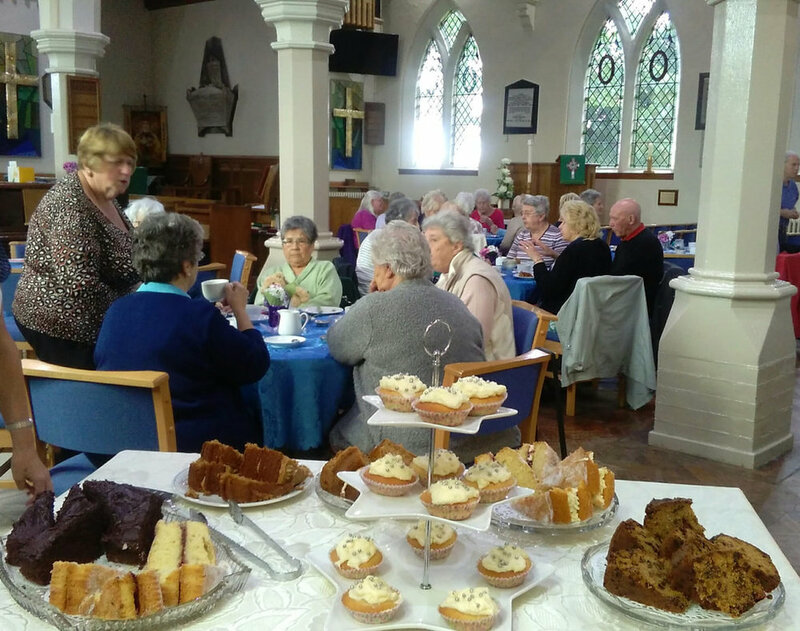 On Wednesday August 9th (Mary Sumner Day), members held a Cream Tea to raise funds to support Mothers’ Union projects both in this country and abroad. A super time was enjoyed by everyone who came to support the afternoons activity and more than £200 was raised.